Hi, Katie, it's great to be here! My name is John Garrett, and I'm a 39 year old artist, writer and web design-type from Milwaukee, WI. Growing up I always concentrated on the artwork so much. I wanted to draw comics and [maybe] write them as well. I think the urge to write only really hit me in college when I had some creative writing classes. I always had my own ideas for stories, but after that I thought “I think I could really do this”! I write sci-fi and fantasy, but my current book is actually a humor book mixing comics and writing. Well, I'd have to say that Guy Gavriel Kay is my favorite writer. He writes in the fantasy genre [usually]. His stuff is extremely well researched, and he always ties it into a certain era of history so you can somehow relate it back to our own world. I always wanted to write something like him. I finally came to the realization that I'm not going to write anything like that, it's just not what I do, but I wouldn't want to become a “clone writer “anyway, so I'm cool with it! Ha ha! My family is not very interested in comics and fantasy and sci-fi for the most part. Of course, they wish me the most success possible and will help me as much as they can, but you won't really ever catch one of them curled up with a comic book! I'll tell you, I learned that when you're writing a book, people tend to discount it. They tend to almost automatically write it off as some kind of a pipe dream. It seems like if you don't have Steven King or J.K Rowling level success then you're a failure, but if you shoot for that then you're just dreaming. The chance to get my work in front of people and have them enjoy it inspires me. I'm a creator, so making my living creating things is something that pushes me and inspires me every day. 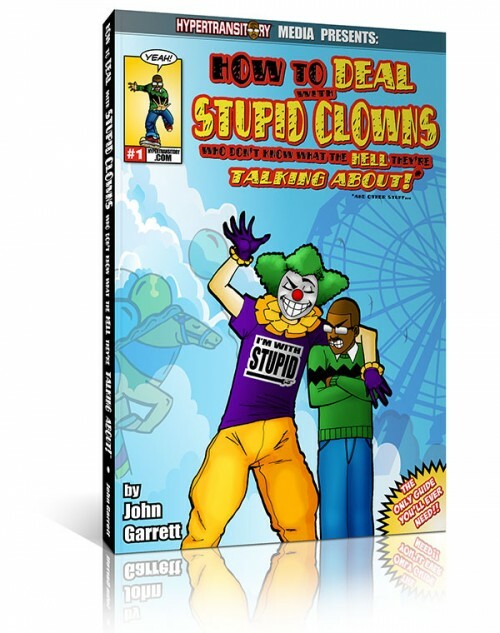 It's a comic and written guide to navigating life when dealing with difficult people who always seem to be around to try to derail us. 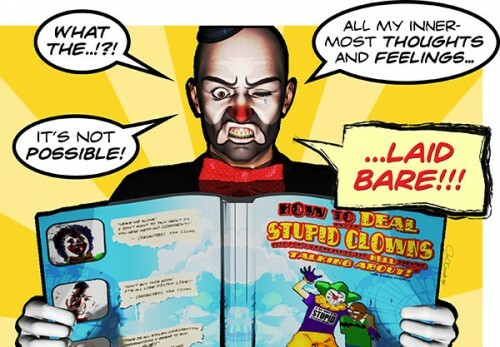 I've met some pretty crazy characters in my life and I've rolled them up into comic form just for this book! Sure, while you're getting your book done, you can be out there connecting with people via a blog or using social media. Maybe you can bring some of these people along for the ride as you create the story. People like to see some of the background process as well, and then it means more to them and you when it finally arrives. Hi Katie, thanks for having me aboard, I appreciate it a lot!